Do you remember being asked “Who is the king of the jungle?” back in your childhood? “Lion” was the universal answer. It still is. The moment this word is mentioned to anyone, their brains almost immediately bring out the picture of a golden four-legged beast with long flowing brown hair around its face. Its roar is what life-threatening danger sounds like, in animal language. This image of a lion long saved in your memory is the image of a male Asiatic Lion. The Asiatic Lions are mammalian carnivore species with an average lifespan of 16 to 18 years. They once walked all over the Middle East to India. 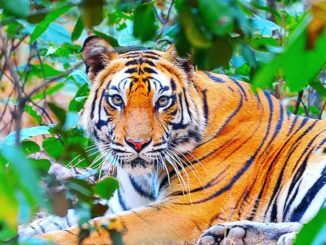 Now only a small fraction of them survive in Gir National Park, also known as Sasan GIR in the Junagadh district of Gujarat. The males are differentiated from females by the fringe of long hair encircling their faces. It is called ‘mane’. They live in group popularly known as ‘prides’. A pride is a family unit of lions. It may include up to three males, about a dozen females and their cubs. The family responsibilities are divided between the males and females. The females bring food to the pride. They are the primary hunters and often work in a team to prey upon larger animals. The male Asiatic lions are responsible for marking and protecting the area of the pride. They mark the territory with their urine (called marking the territory), roar often to threaten away intruders and chase them off if so be the need. The female cubs stay with the group while the males eventually wander off to establish their own pride. Their mating season of the Asiatic lions falls between September and January. 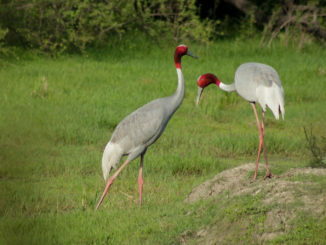 On the days of mating, the partners normally do not hunt but only drink water. Females often switch their mating partner in favor of the more dominant male. 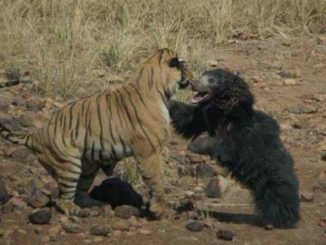 The males also commit infanticide, killing their own cubs, for different reasons. The Asiatic Lions have an ‘endangered’ status on the IUCN Red List. The population of Asiatic lions in Gir national park has apparently been more stable in recent years. 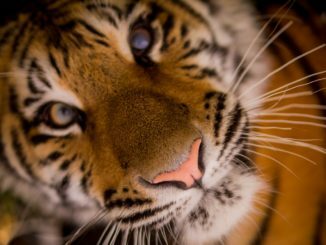 Since they exist as a single sub-population, their existence is gravely vulnerable to forest fires, epidemics and poaching. Even though almost all wild lion species are found in Sub-Saharan Africa, a small population of Asiatic Lions lives in India. 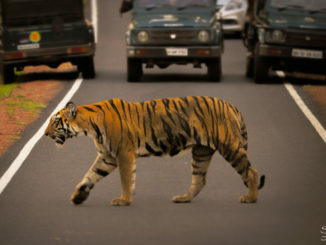 Gujarat’s Gir National Park is their home. These densely populated teak wood forests used to be royal hunting ground back in time. Today, they are govt. supported protection areas for conservation of these big cats. The Gir Forest National Park and Wildlife Sanctuary is a forest zone located 43 km north-east of Somnath. 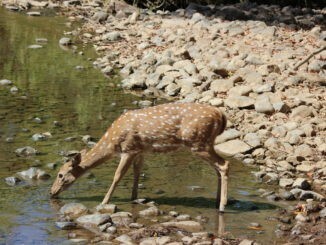 It is also known as Sasan Gir. It is popular worldwide for being the sole home of Asiatic Lions in the wilderness and is considered to be one of the most significant protected areas in all of Asia. The park is spread over an area 1,412 square kilometers. Out of this, about 258 sq. km. 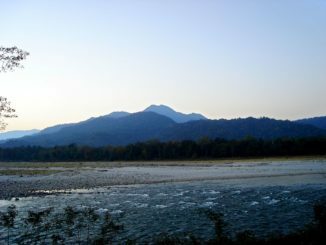 is reserved for the fully protected region of the National Park. Additionally, 1,153 sq. km. is kept aside for the Sanctuary. 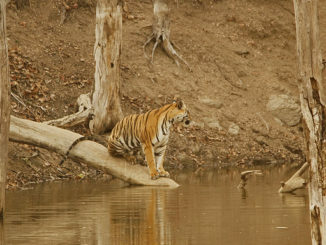 During the times of royalty, the Gir forests used to be hunting grounds for the Nawabs of Junagadh. Here, these beauties of nature were slaughtered for trophy hunting. Their skins and body parts would grace royal exhibits as testimony to valor. As a result of these unchecked killings, the number of lions dropped to a mere 20. It was at this point that British viceroys drew the attention of royal court towards the dwindling numbers of lions in Asia. The then Nawab decided to assist in the conservation of these lions. Then after, the numbers have been on a steady rise. The credits go to the collective effort of the Govt. forest department, wildlife activists, NGOs and the local people of Sasan Gir. The population of these Asiatic lions was at 359 in 2005. It showed stability over the next five years and reached 411 in 2010. In the 14th Asiatic Lion Census conducted in May 2015, there were a record 523 of these big cats in Gir forest. Out of these, 109 were males, 201 females and 213 cubs. To take a close look at these rare specimens of nature’s craft, you can easily avail a jeep safari in Gir. The safari service is available thrice a day. In the morning you can take a jungle safari during 6-9 AM and 9-12 AM. The safari also sets out once in the afternoon at 3 PM and lasts until about 6 PM. You can book your Jeep Safari online from the site Gir Lion. However, the bookings are non-transferrable and the reserved seats shall not be exchanged with any other visitor. Visitor details have to be submitted at the time of booking safari online. 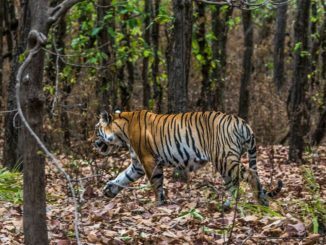 Alternatively, you can get an offline permit from the Sinh Sadan Forest Lodge Office but it is recommended to go with an online confirmed booking. One booking allows 6 persons and a child on the tour for a cost of INR 800 (only permit without jeep, guide and camera charges). Foreigner tourists have to shell out INR 4,800 (only permit without jeep, guide and camera charges) for the same. Whereas the total charges inclusive of Gypsy, Driver, Jungle Guide, Permit cost, Camera fee and Payment Gateway charges comes around INR 5,300 for Indian and approx INR 12,800 for foreigners. This safari shall be an exquisite experience and cherishable memory. 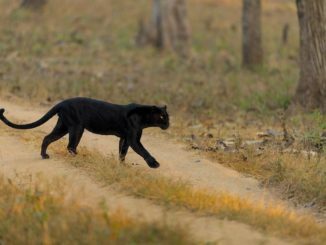 If you are lucky, you can spot the Asiatic lions and Indian leopards prowling about in their natural habitat. Watching them from an open-roof jeep is an altogether different experience. Be sure to carry the complementary camera available on your safari for you will want to come back to those moments over and again. Even though most people around the globe believe lions to be aggressive, dangerous and threatening creatures; Gir lions have rarely attacked people ever. Their behavior is markedly different from all other big cats. They have very close proximity to people and have maintained a near acquaintance with their neighbors. In addition to lions, a wide variety of fauna moves around in the Gir Forest. The tally stands at 2,375 distinct species. This includes 38 diverse mammal varieties, around 300 species of birds, 37 species of reptiles and more than 2000 types of insects. Some popular ones are Indian leopard, Striped Hyena, India Fox, Jackal, Sambar, Deer, Cobra, Porcupine, Desert Cats, Marsh Crocodiles etc. Blackbucks are also spotted occasionally. They probably wander into the forest from surrounding areas.